Dindr was an app that was supposed to make it easier to meet friends at restaurants for dinner. But when the cofounder discovered that people were secretly using it for meeting love interests and making dates, he had an epiphany. 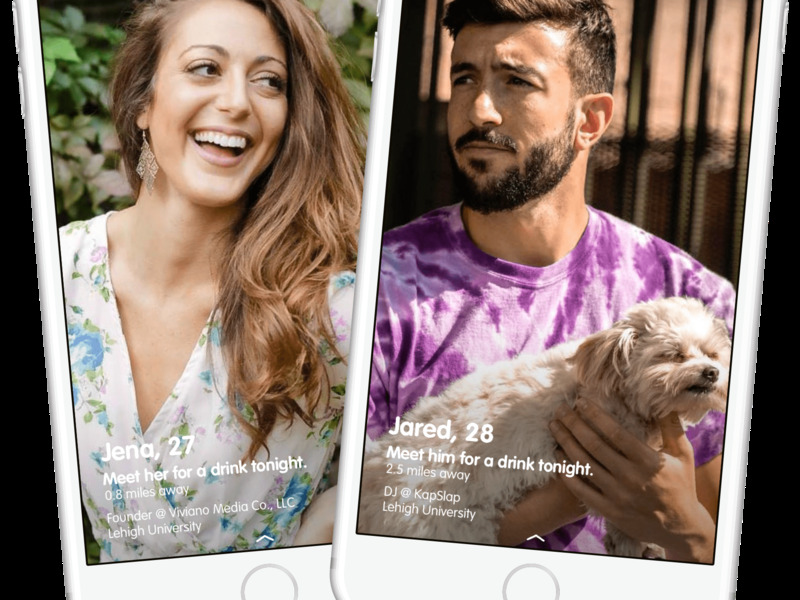 The Dindr team retooled it as a sort of speed dating app that helps you meet someone and pick a restaurant that won’t leave you hanging wondering why someone hasn’t responded to you. Three years ago, a lonely Zachary Casler was texting around, trying to find some friends to grab dinner with and deciding on a restaurant they all wanted to try. It was a ridiculously hard ritual he went through almost nightly. Casler had moved to Texas a few years earlier for a job as an oil trader. But his true love was food. He’d been dabbling with a food blog and as a food photographer, and he was growing frustrated with how hard it was to gather a few friends together to try a new restaurant. You could swipe through pictures of restaurant dishes posted on Instagram, invite your friends to meet you at the place, and schedule it all from within the app. It also had a feature that let you put out an open invitation to strangers to meet up somewhere at a specific place and time. He launched it first in Austin and grew so excited by the idea of doing a tech startup that he quit his job to work full-time on Dindr, living frugally on his savings without a paycheck. The app saw some initial success when about 2,000 users downloaded it. He was then able to hire some help. But then growth stalled. He and his team polled the users on what they liked, what they didn’t. And they were shocked to discover that Dindr was secretly being used more like Tinder than he imagined. A number of people were using that open invite feature to meet people and set up dinner dates. Casler, himself single at the time, was intrigued. Why use a food app to find love when so many dating apps already exist? The team did more research and came up with an answer: Those apps were often frustrating or demoralising to use. 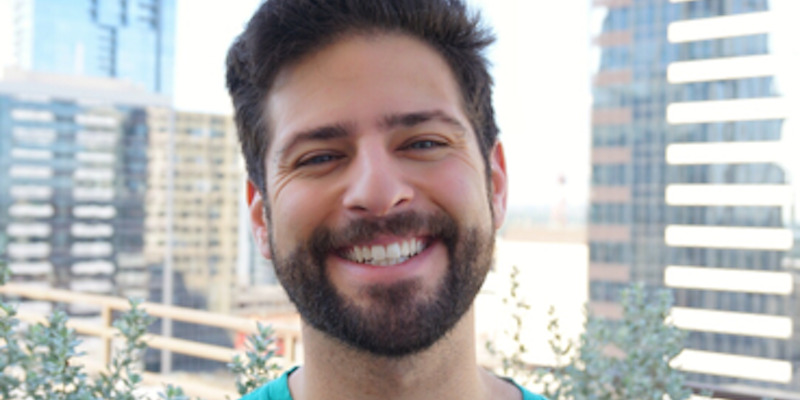 “There are plenty of dating apps out there and our team members have used dating apps before. So we were all familiar with the trials and tribulations of a millennial date,” he said. With other apps, there’s often a disconnect between browsing potential mates and actually landing a first date: It’s hard to stop swiping and settle on one person. There’s no obligation to speak to someone. There’s no knowing if someone you reached out to will reply. And even if they are open to chatting, it may never lead to an actual in-person date. On top of that, someone would be stuck coming up with the recommendation of where to meet. “Our thought was, how can you make a different system? One that would respectfully allow you to meet with people you match with one at a time?” Casler said. The trick was to make an app where everyone had to show up on the app at a particular time to meet their matches. They retooled Dindr and wound up with an app that’s sort of like HQ Trivia meets Tinder. You can log on any time of the day and swipe through your potential matches, which will be based in part on your foods preferences. Then, twice a day, everyone logs on for a six-minute round of chatting. You get to chat with one match at a time with a short window to make plans or move on. If no plans are made, you can you meet another person. Once you find someone you want to make plans with, Dindr recommends a place to eat and helps schedule a time. “The end outcome is that you are spending about 10 minutes on Dindr, the round ends quickly and a match turns into a date with concrete plans sometime for that evening,” Casler describes. So far the app is only available in Austin, a big foodie town, and it’s gaining some steam there. Dindr now has about 3,500 users worldwide including 1,400 people who downloaded the app in the month since it was relaunched as a dating app. About 100 people are joining every day, he says. Dindr also has plans to launch in Houston, New York, Los Angeles, and San Francisco, along with more cities as people download the app and request access. So far in its first month, “we have have matched 170 or so couples, and have sent 38% of matched parties on dates at restaurants we suggest,” Casler said.